Legislative reforms and economic conditions have shifted the scales attorneys use to gauge their business in a state affected in recent months by tort reform and a downturn in the real estate market. Tort reforms, including medical malpractice caps and the 2007 repeal of joint and several liability, which required defendants to pay more than their share of economic damages, have changed the landscape for law practices. "Tort reforms have definitely had an impact on how they conduct their business, especially right from the start when they evaluate a case," said Rick Karcher, a professor at Florida Coastal School of Law who teaches tort law. Karcher said a good example is the repeal of joint and several liability, which meant that if a defendant loses, they now pay only the percentage of damage equal to the percentage they were at fault. "If you assess your case and you have three defendants and two of them are uncollectable and one is collectable, but you suspect they're only 5 percent at fault, that's going to have a huge bearing," Karcher said. The basic concept of joint and several liability is reducing damage awards, meaning an attorney will have to decide if it's economically feasible to pursue the case. "They impact the business because anything that impacts the consumer impacts the business because we're making recovery on behalf of the consumers," said Farah, who said collecting medical damages is becoming more difficult because of recent medical malpractice reforms. Farah said caps placed on medical malpractice awards have limited the amount that can be awarded for pain and suffering. And federal pre-emptions for medical device cases means patients can't sue for negligence if the U.S. Food and Drug Administration sanctions a product. "If a housewife loses a leg because of a malpractice situation, what are her economic losses?" Farah said. "A lot of attorneys won't handle claims unless there's large economic losses because they can't justify all the work and money it takes to handle those cases. "It's cutting a lot of people out of the system who do have valid claims." 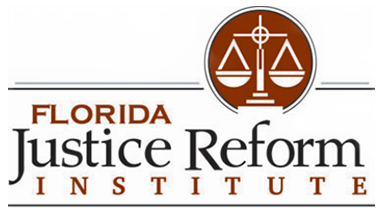 While attorneys are adapting to tort reforms, William Large, president of the Florida Justice Reform Institute, said it may be several years before the real impact of recent reforms are known because of how long it takes a case to work its way through the legal system. "What we're seeing is the frequency of medical malpractice cases have gone down, but the severity of those cases have remained the same," Large said. "A medical malpractice case is still a big issue-type case with substantial damages. It's probably too early to tell the full impact of medical malpractice reform until all the appellate rulings are finalized." In the constantly changing legal world, it's not just legislative reforms impacting an attorney's practice. Fluctuations in the economy, such as the slumping housing market, also play a big role. Doug Stanford, a partner at Smith, Gambrell & Russell LLP, said law firms are having to shift their focus because of the residential real estate slowdown. "There's a lot of foreclosures out there," Stanford said. "There's only a select number of lawyers who specialize in foreclosures and you're going to see [the number of foreclosure specialists] increase." Meanwhile, real estate attorneys who handled property sales closings are seeing a dramatic drop in business. Attorneys who did well during the real estate boom are "wondering where the next job is going to come from," said Stanford. "Many are adjusting to the marketplace," Stanford said. "Companies that are any good are able to adapt to changing conditions." Foreclosures were up about 30 percent in 2007. According to Duval County Clerk of the Courts, there were 9,654 foreclosures in 2006. In 2007, there were 12,537 and another increase is expected in 2008. "There are many more foreclosures," said Mark Heekin of the Heekin Law Firm. "There's also a lot of people contacting me to negotiate a short sale with the lender. They want to try and sell the property and get the lender to accept less than they are actually owed." Heekin said in the past three weeks, he has seen more residential sale contracts, which may be a sign of better times. "With interest rates on residential mortgages dropping and residential home prices dropping," Heekin said, "we're thinking there may be at least a minor boom in transactions."